1 Dehradun Shop for pretty woollens, handicrafts, handlooms, juices, jams, jellies and clothes in the local market. Don’t forget to try out the delicious Garhwali food at the local restaurants. Plan a trip between March to June to beat the summer heat as the weather is pleasant. 2 Mussoorie Walk through the winding lanes of the tiny town and explore its beauty. Also, try your luck in spotting resident author Ruskin Bond, who enjoys a stroll through the markets April to June are the best months to come here. If you want to see snowfall, plan a trip during the winter months. 3 Nainital Shop for woollens, handicrafts, jewellery and soveniour in the shops on Mall Road. If you love adventure, then there are options for trekking. Between March to June. 4 Rishikesh A thrilling white water rafting in Rishikesh is an experience of a lifetime and is one of best things to do in Uttarakhand. Looking for a diving experience, take a dip in the holy Ganga and feel spiritually cleansed with the divine experience. The best time to visit is from August to October. 6 Jim Corbett National Park Go on a jungle safari and spot the exotic animals. It depends on where your interest lies. Let’s say bird watching is what you like then plan a trip in winters and if you want to spot the animals then summer is the best time, though it will be hot there. 7 Ranikhet Ranikhet has several tiny local off-road trekking routes offering scenic vistas. A trek here can be very refreshing and enjoyable. Early winters, starting from September until November is the best time to visit Ranikhet. 8 Auli Auli is the skiing and snowboarding hub of India. You can try your hand at skiing here. There are different courses to learn the sport. Try your lick at mountaineering here and you will have an unforgettable experience. 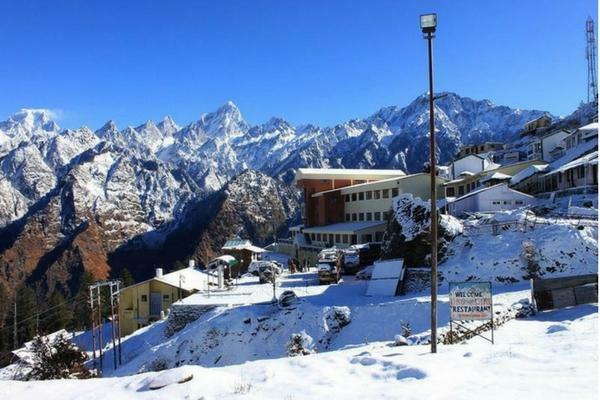 You can visit Auli anytime of the year. However, winters can be extremely cold and you will need to bundle up. 9 Chamoli Enjoy the cable car ride here. The ride is very scenic and enjoyable. Trekking is another option to indulge in this wonderful town. 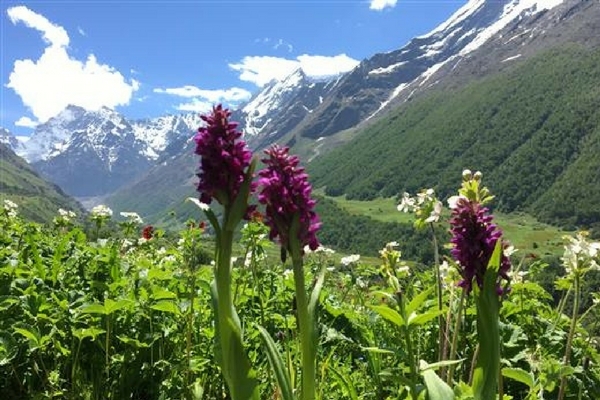 Head to Chamoli before the onset of Summers, between October to March. 10 Lansdowne Enjoy a peaceful walk or simply sit and stare at the beauty of nature. You can also go on the forest trail to explore the wilderness of this beautiful place. July to September is one the best times to visit, apart from the summer season. Winters can be extremely cold. So plan your Uttarakhand trip accordingly. They call it the ‘Land of Gods’. Mysterious, beautiful, exotic, charming, and magnificent, that’s Uttrakhand in a nutshell. The enchanting land is blessed with some amazing tourist places and when you visit this place you can better judge why the Gods chose Uttrakhand to make it their abode. With several beautiful places to visit in Uttarakhand, a trip to Uttarakhand should definitely be in your bucket list of places to see in India. If you are already on your way to plan a trip, here is a list of places to visit in Uttarakhand. 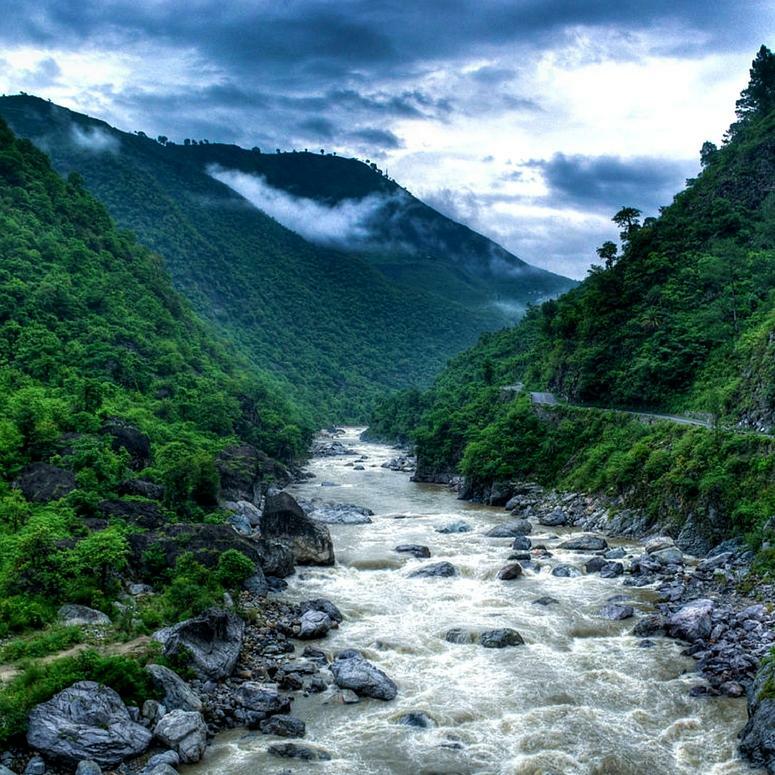 Dehradun is the capital of Uttrakhand and a lively city surrounded with charming views of the mountains of Musoorie. Must visit: Don’t miss the beautiful Forest Research Institute campus in Dehradun.The colonial building is very picturesque. They are open between 9.00 am to 5.30 pm. Things to do: Shop for pretty woollens, handicrafts, handlooms, juices, jams, jellies and clothes in the local market. Don’t forget to try out the delicious Garhwali food at the local restaurants. Best time to visit: Plan a trip between March to June to beat the summer heat as the weather is pleasant. 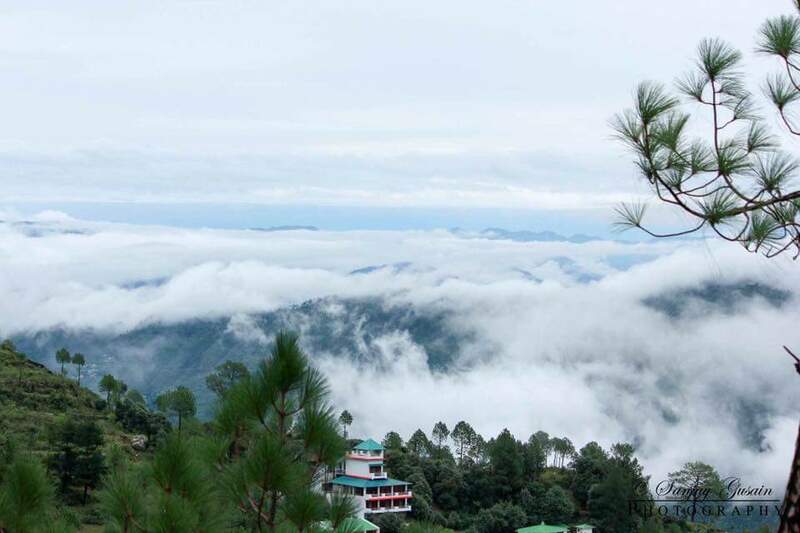 The ‘Queen of Hills’, Mussoorie, is a pretty hill station located at a distance of about 38 km from Dehradun, a ride from Dehradun to Musoorie is full of scenic views and beautiful landscapes which makes this place one of the best places to visit in Uttarakhand. Must visit the place: Don’t miss the stunning Kempty Falls near Mussoorie. Best time to visit: April to June are the best months to come here. If you want to see snowfall, plan a trip during the winter months. 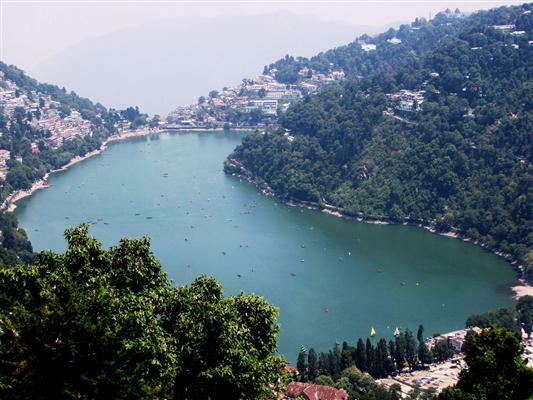 Sandwiched between the majestic mountains, right in the lap of Naini Lake, Nainital is popular as one of the best places to visit in Uttarakhand, surrounded by mountains from every corner offering a majestic view of Himalayas. Must visit place: The sparkling Naini Lake offers a grand boating ride which is unmissable. Things to do: Shop for woollens, handicrafts, jewellery and soveniour in the shops on Mall Road. If you love adventure, then there are options for trekking. .
Best time to visit: Nainital has good weather throughout the year, but people mostly come to this hill station between March to June. Our Uttarakhand holiday packages will acquaint you with the quaint beauty of Uttarakhand. 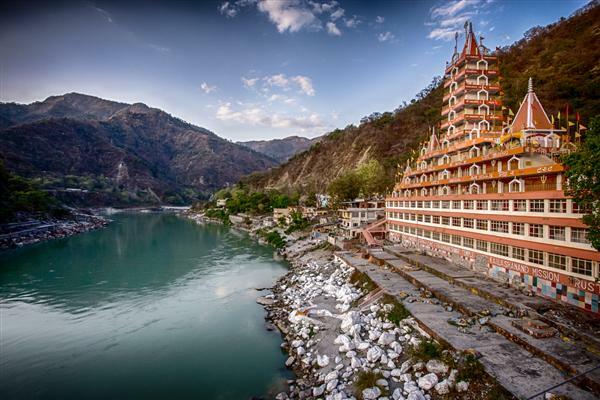 For the spiritualist in you, one of the places to visit in Uttarakhand is Rishikesh. This charming town exudes a rustic touch and spiritual energy that is infectious. Things to do: A thrilling white water rafting in Rishikesh is an experience of a lifetime and is one of best things to do in Uttarakhand. Looking for a diving experience, take a dip in the holy Ganga and feel spiritually cleansed with the divine experience. Best time to visit: You can go to Rishikesh anytime you feel like a holiday, however, the best time to visit is from August to October. 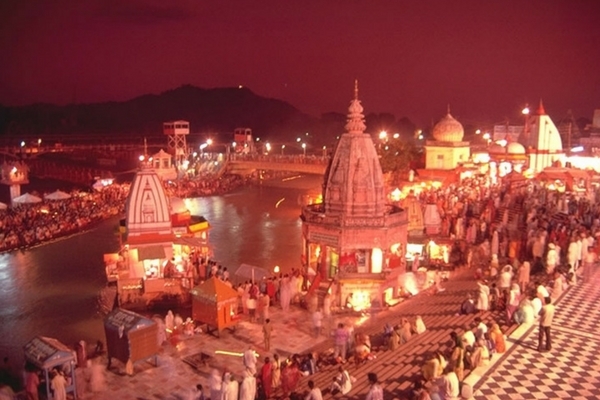 Popular as a Hindu pilgrimage Haridwar is one of the most visited places by the spiritual people. A trip here during your Uttarakhand holiday should be a part of your itinerary. Must visit place: Har ki Pauri ghat is a must visit place while you are in Uttarakhand. The Brhmakhund, which is visited by hordes of devotes is known to have one of the most amazing arts and is a surreal experience. Things to do: Take a dip in the holy Ganga and also enjoy a serene boat ride there. Eat the delicious local food to get a real feel of the place. 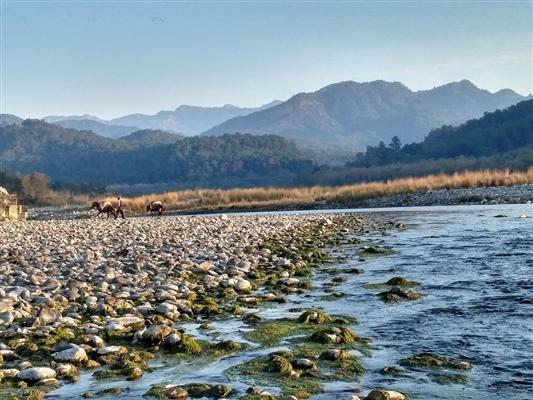 One of the best places to visit in Uttarakhand is Jim Corbett National Park. The park houses around 500 species of birds, and 400 types of trees. Our Uttarakhand tour packages will show you the best of Jim Corbett. Things to do: Go on a jungle safari and spot the exotic animals. Best time to visit: It depends on where your interest lies. Let’s say bird watching is what you like then plan a trip in winters and if you want to spot the animals then summer is the best time, though it will be hot there. Fees: You will need to pay Rs 4500/ jeep to enter the park. One of the places to see in Uttarakhand is Ranikhet. Ranikhet is a tiny hamlet in the Himalayan wonder which has a heavy colonial hangover. Beautiful stone buildings of the British Era add a great charm to the little town. Must visit place: Tour the British Era buildings here found in plenty. 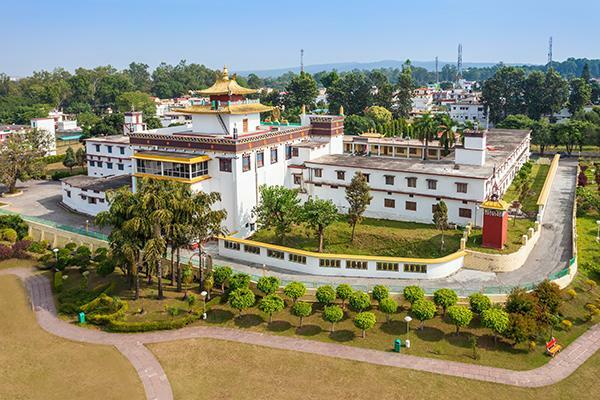 There are also a host of beautiful temples in and around Ranikhet which is very charming and should not be missed. 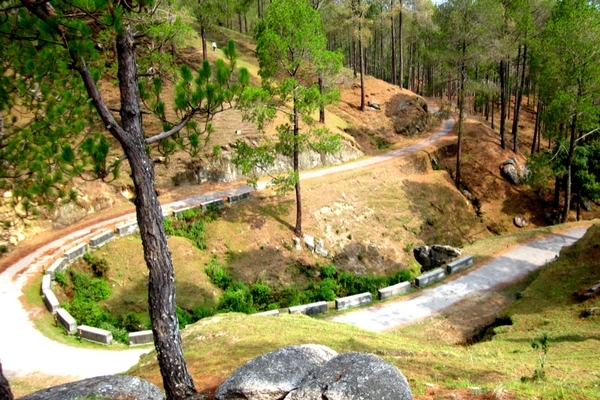 Things to do: Ranikhet has several tiny local off-road trekking routes offering scenic vistas. A trek here can be very refreshing and enjoyable. Best time to visit: Early winters, starting from September until November is the best time to visit Ranikhet. This magnificent hill station offers a panoramic view of the Himalayan ranges and an interesting place to visit in Uttarakhand. This picturesque hamlet is a great honeymoon destination as well. Must visit place: A trip to the beautiful Chattrakund lake should be on your places to see here. Things to do: Auli is the skiing and snowboarding hub of India. You can try your hand at skiing here. There are different courses to learn the sport. Try your lick at mountaineering here and you will have an unforgettable experience. Best time to visit: You can visit Auli anytime of the year. However, winters can be extremely cold and you will need to bundle up. Chamoli is also known as the “Abode of Gods’. This beautiful town is well-known for its lovely shrines, temples and charming Garhwali traditions. Chamoli is also the town known to spark the famous ‘Chipko’ movement. Things to do: Enjoy the cable car ride here. The ride is very scenic and enjoyable. Trekking is another option to indulge in this wonderful town. 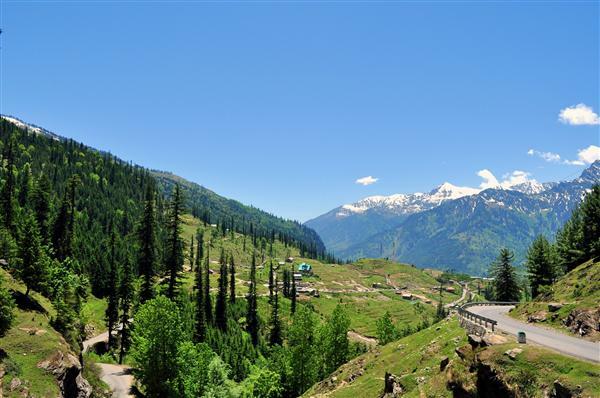 Best time to visit: Head to Chamoli before the onset of Summers, between October to March. The pretty cantonment town was founded by the British Viceroy and bears his name. If a quiet time amidst nature is your thing, then this is one of the best places to visit in Uttarakhand. Must visit places: Head to the Gharwali Museum that houses a collection of arms, rifles, army uniforms, and some rare photographs of the days gone by. The museum is open from 9.00 am to noon and 3.00 pm to 6.00 pm. Things to do: Enjoy a peaceful walk or simply sit and stare at the beauty of nature. You can also go on the forest trail to explore the wilderness of this beautiful place. Best time to visit: July to September is one the best times to visit, apart from the summer season. Winters can be extremely cold. So plan your Uttarakhand trip accordingly. Top 10 places to visit in Uttarakhand. Find out beautiful places in Uttarakhand with their complete information like best time to visit, things to do, must visit place etc.